Selecting the right appliances and tools for your laboratory can make a big difference in its efficiency and effectiveness. There needs to be close attention paid to every purchase for how it fits as a stand-alone appliance as well as how it compliments and supplements other appliances in the lab. In the area of ovens, there are lab ovens for sale that have wide ranges of characteristics and qualities from which to choose. Selecting the right lab oven takes care and strategizing to ensure you get the one that is the perfect fit. Here are the areas to consider when you are looking to purchase the perfect lab oven. All laboratory ovens use convection to create and circulate heat throughout their chambers. However there are a range of convection ovens that have different qualities and strengths. Some use gravity convection which is natural convection while others use some form of mechanical draft to heat the oven’s contents. Gravity Convection – Take advantage of convection principles regarding heat causing temperature and density differences that create circulation of air throughout the oven chamber. Although these ovens are lower cost and simple to operate, their mode of operation will often leave temperature inconsistencies in the oven chamber. Forced-air Convection – Employ fans that constantly distribute air through the oven chamber. The result is faster heating and even heating throughout the oven chamber. These ovens are used for a wider variety of applications than gravity convection ovens. Selecting which convection oven type you need should be based around getting a few questions answered. Gravity convection ovens are a lot less accurate in terms of uniformity. In a lab oven, uniformity is the consistency that the temperature remains at various points in the oven chamber. The presence of cold or hot areas will likely affect overall accuracy and may affect test results. Lower cost ovens are less reliable in terms of uniformity. However your particular lab tests may not require high levels of uniformity. Request uniformity ratings of any oven models you consider. When you open the oven door, the temperature will drop rapidly, open the oven frequently and you run the risk of tainting your experiment results. The oven seeks to rapidly get back to its target temperature under these conditions causing load on its system. Better quality ovens will have shorter recovery times. If your experiments demand a high level of uniformity and accuracy, having a shorter recovery time will be critical. Keep in mind that often heat loss can be mitigated by planning out in advance when samples will be placed into the oven thereby limiting the amount of times and how frequently the oven door is opened. When shopping for an oven you should seek one that has a temperature rating several hundred degrees above the temperature needed for your tests. Having this headroom will give you more accurate temperature readings and with the reduced workload of a high capacity oven, the unit should last longer. Will you create hazardous or unpleasant fumes when using the oven for your experiments? You have an option to purchase a fume hood if this is the case or select an oven with direct forced-air exhaust. 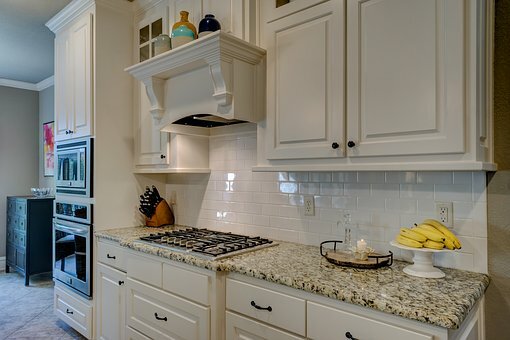 When looking at these types of ovens you should engage an expert in HVAC professional, and look to have a plan drawn up for its installation and operation. You should also be exacting in reference to the size of the oven you need so as not to waste money on buying an oven too large or small. And finally make sure you purchase an oven with high quality materials designed to withstand the rigors of the lab you in which you will place it. To be safe, only purchase your oven from a reputable laboratory oven dealer.